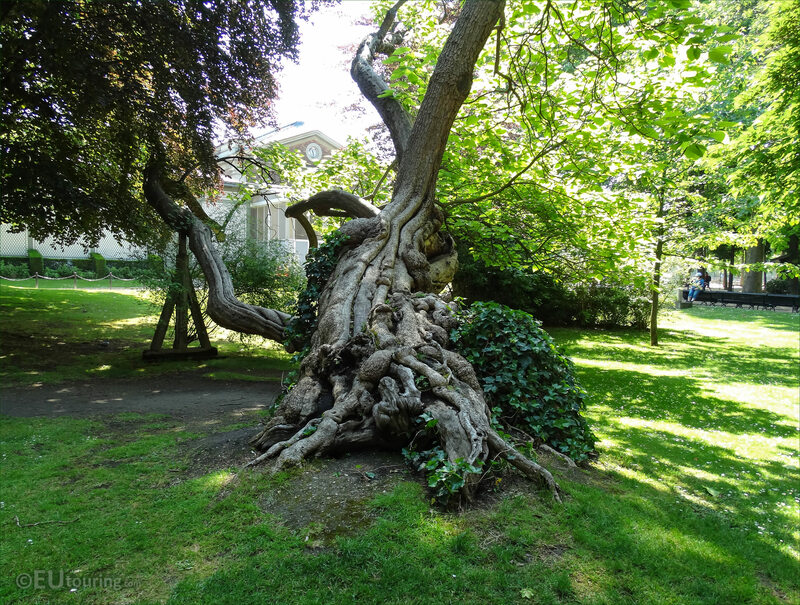 We had to take these high definition photos showing one of the unusual and historical trees within the Jardin du Luxembourg, which is a free public garden located in the 6th Arrondissement of Paris. 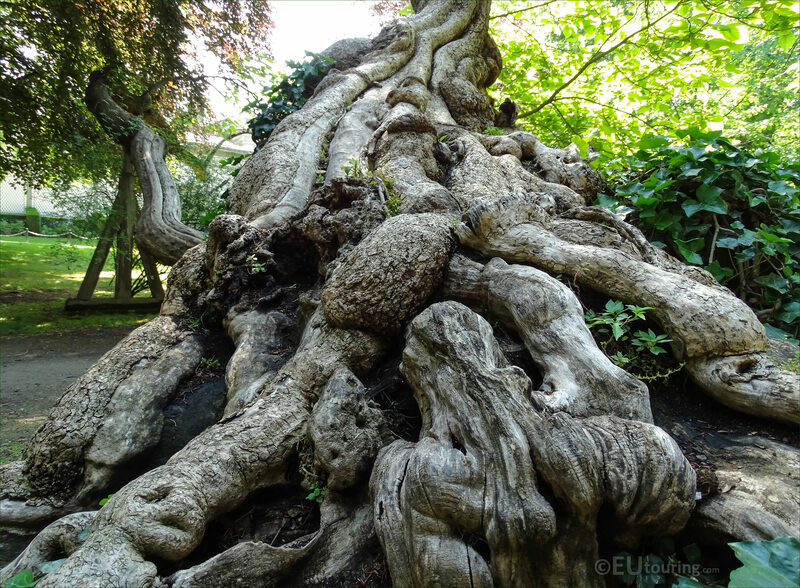 You will find that the Jardin du Luxembourg is not just popular for its statues and numerous tourist attractions such as the palace, the Medici Fountain or even the Statue of Liberty, but this is an ancient garden, and in this first HD photo you can see a close up showing a part of the root system on this particular historical tree. Now the Luxembourg Gardens have been under the supervision of the French Senate for well over a century now, and they employ a large team of expert gardeners to maintain this beautiful park in Paris that attractions millions of visitors each year, and preservation is one of their main concerns. 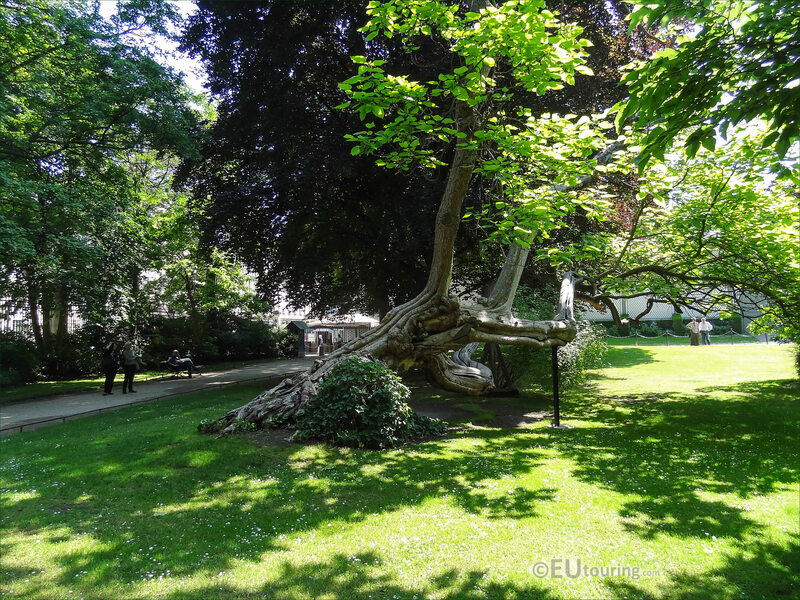 So this next image shows the historical tree located on the western side of the Jardin du Luxembourg to the left of the Palais du Luxembourg, and the Musee du Luxembourg is located in the distance behind, yet in this image you can also see that the tree has an acrow support beam, which can also be spelt as acro, and this has been on one of the larger branches in order to prevent the tree from breaking at this point. 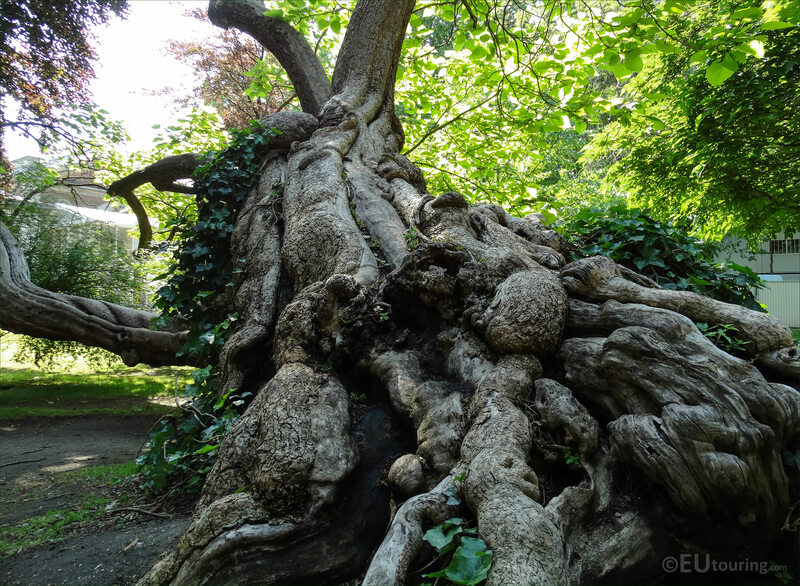 Yet in this next close up photo you can see even more detailing on the root system of this historical tree that has ended up growing sideways rather than directly up, so for preservation, there is an additional wooden support with bracing on another of its large branches, as you can see here. 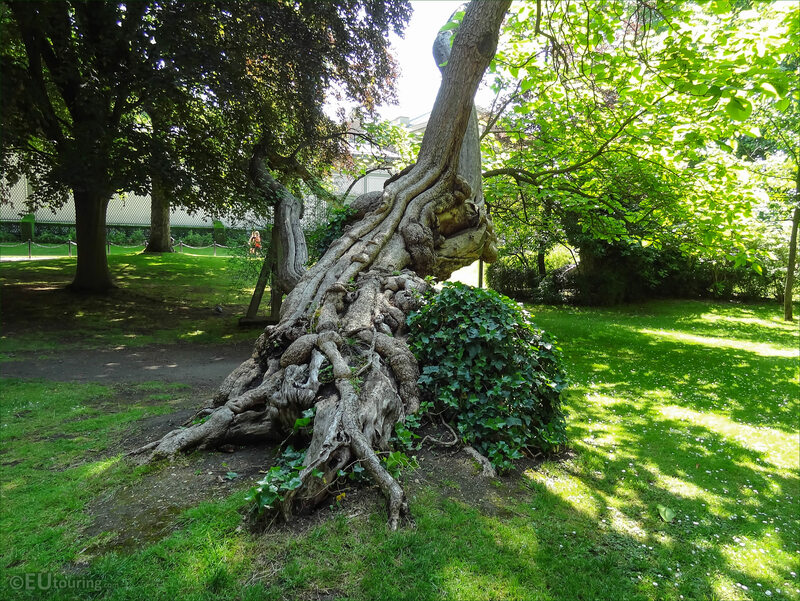 The expert team of Gardeners employed at the Jardin du Luxembourg, even have to go through a sort of competition process in order to be selected for one of the jobs available, and it is not just their knowledge and expertise that are required, but also a passion for the preservation of different species of plants, just like the ivy growing over a part of this historical tree. 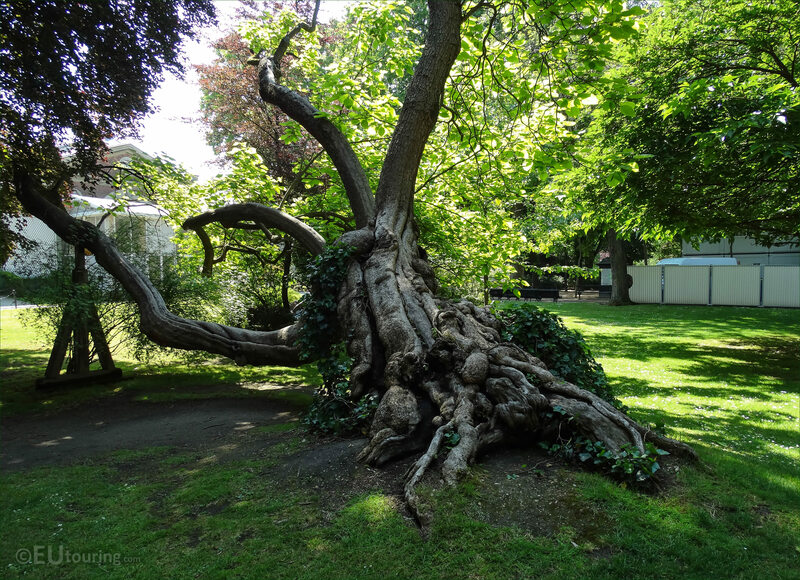 In fact some of the historical trees in this free public garden in Paris date from the 1800s, even though Queen Marie de Medici had many specimens planted originally, but some over the centuries succumbed to disease or died naturally, however, the French Senate along with the City of Paris also have a policy of not using any pesticides, etc in any of their beautiful parks and gardens including the Luxembourg Gardens. 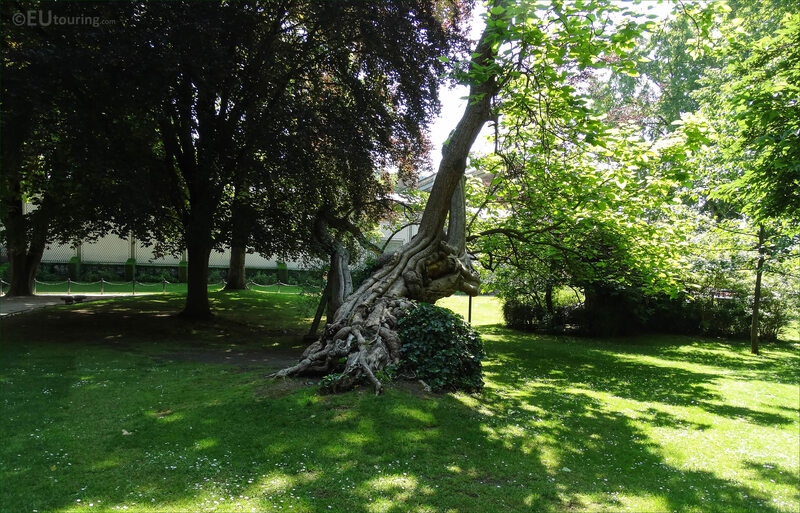 But this last image shows a wider view of the entire historical tree located within the Luxembourg gardens, however, although the gardeners try to preserve the old, they still think of the new, and there are many different varieties of trees that have been planted far more recently, even in the 1990s and 2000s that originate from all different parts of the world for even more added diversity.